This past weekend, I got a lot of projects done around the house. Enough that I will be finally be posting the Master Bedroom edition of The Pinterest House Project in the next few days. Naturally, whenever I plant myself at the table for crafty type projects, Lilly wants to join in. So I put her to work. Turning an old cardboard ribbon bolt into a jewelry holder for her vanity. While I worked on a new piece of DIY canvas art for her bedroom. 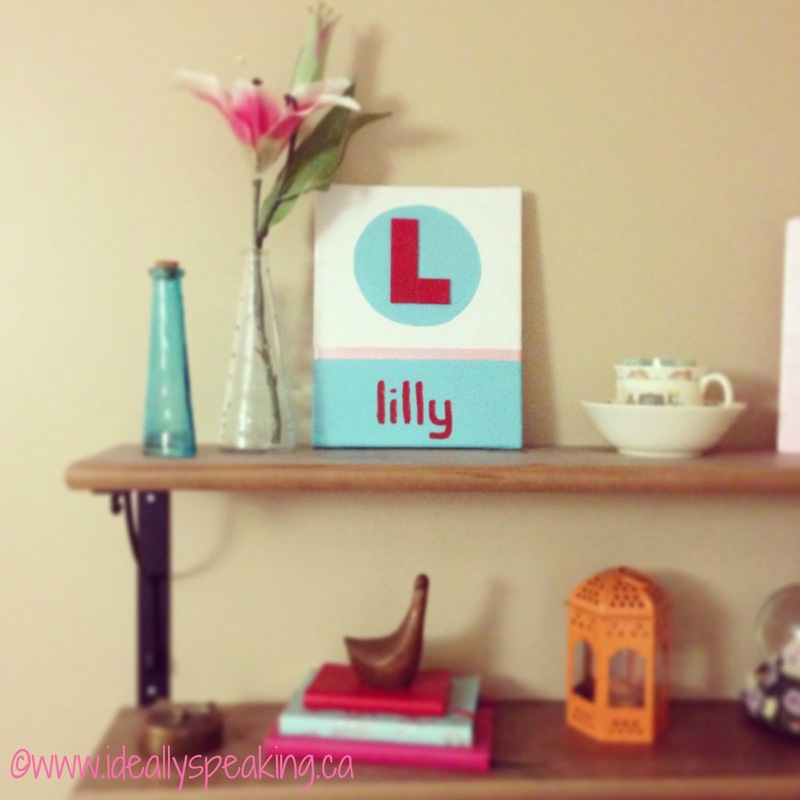 DIY Leather Wrapped Painted Canvas Wordless Wednesday with linky: Cousins & Best Friends. Wordless Wednesday with Linky: Cupcake Decorating Wordless Wednesday with linky: Attending Mass. « Talking With My Toddler #17: My own words haunt me. Again. Looks so beautiful. Your daughter is adorable. Thanks for hosting and Happy WW! My girls love to craft with me (or by themselves now that they’re a little older). That looks great! Maybe one day I’ll get my house in order enough to show pictures on my blog. Aww she looks so at ease with her project. I can’t wait to craft with Sloan when she is older! Looks like Lilly is concentrating very hard! I love craft time with the kids! Always so much fun! 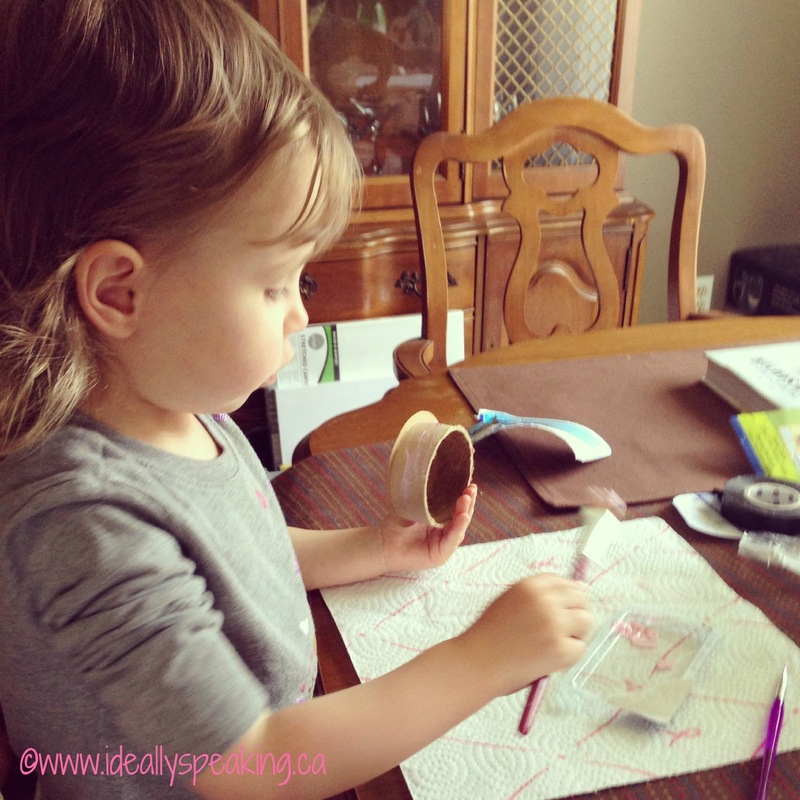 Crafts are good for mom and kids, you can always see their creative side! She is in such concentration! Happy WW!! How gorgeous! Happy WW, thanks for the email reminder, hope you are having a great week. Your daughter is adorable! I just can’t do WW posts. I always have too much to say – and I think it’s bad for SEO, no? Anyway, I am connecting from Let’s Connect Thursday. I will connect with you via all of your icons up there on your side bar. Great project! Your girl is so cute! Visting from http://www.homelifeabroad.com/ via TGIF Blog Hop & Linky Party We follow you on Bloglovin’!